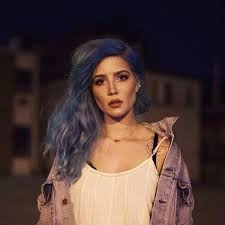 Ashley Nicolette Frangipane born September 29, 1994, known by her stage name Halsey, is an American singer and songwriter. She started songwriting at the age of 17. In 2014, she signed her first recording contract with Astralwerks and released her debut EP, titled Room 93. Her debut studio album, Badlands, was released in 2015.